Pallets are widely used across the world to create different kinds of furniture and decorating items that can be used at homes and in outdoors. Things such as bed head, table, chairs, bench, decoration pieces, storage shelves and wall decorations can be easily and economically made using wooden pallets. They are cheap as well as provide an easy way to create customized furniture of your own. When it comes to designing and creating customized furniture, there is no end to creativity and ingenuity. You can create a coffee table for your living room by using wooden pallets and then customize it with a design of your own. 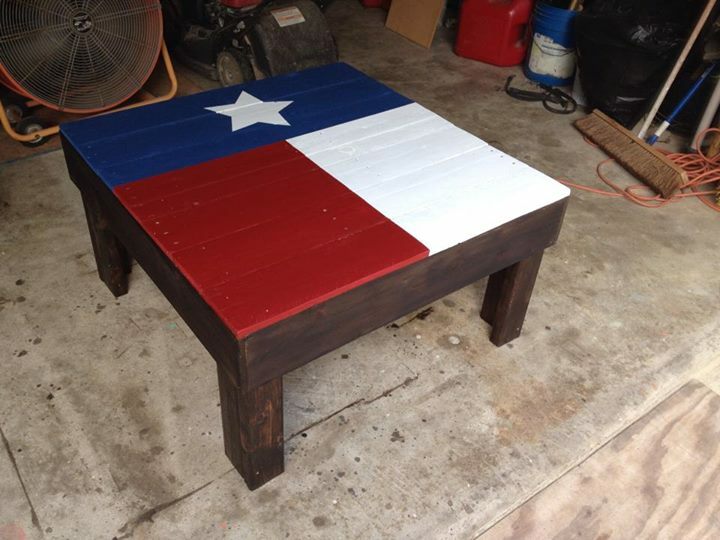 It is entirely up to you what final look you want to give to your pallet coffee table. You can either use a coat of varnish to retain the original texture and color of the pallets, which will give your table a vintage look, or you can use a single color paint to give it a neat look. 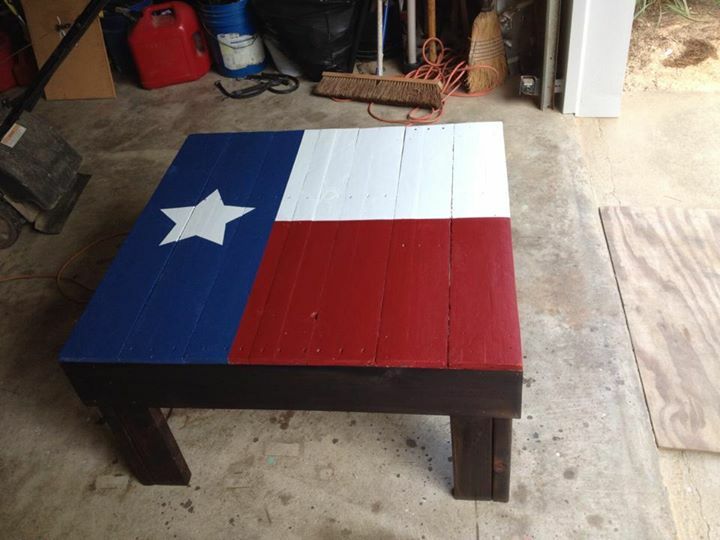 Or else, you can opt for painting a specific design, such as Texas state flag, on the table to give it a chic and contemporary look. It will look interesting and appealing as well as it can also serve as the focal point of the room.